Confederate Lt. Wm. L. Kendrick was in poor health and although his combat capacity was impaired, his willingness to serve the south�s cause was undaunted, so he was placed in command of a company headquartered out of Greenville and charged with what today would be called military police duty. It was not altogether a popular war, particularly in upper South Carolina and not all the sons of the South were heroic brands of soldier. Lt. Kendrick�s company - most of its men recuperating from war wounds or illness - was responsible for rounding up deserters and conscript dodgers. The company commander�s correspondence files are revealing. Even in that stage of a losing war, under near guerrilla conditions, tribute still was paid to military custom. On August 18, 1864, Major W.W. Perryman wrote to Lt. Kendrick: "It is probable Brig. Gen. Chestnut will pass your Head Qts., tomorrow or the next day. You are instructed to have your men all in hand, arms and ammunition in good order, quarters cleaned up� (and) if the General shall pass by close enough, you will turn out your guards and present arms� He is riding a large gray mare�"
The letter adds that W. F-------- (Greenville will unlock no skeletons) is reported as a deserter, formerly of Captain Bowden�s company, and is said to be now at home near your Head Qts. Look after him. Such units apparently "looked after" deserters in a rather through manner. A fellow officer wrote from Camp Pickens Court House on September 9, 1864, that we have some forty mounted men with us. We have taken up some dozen deserters. Killed one and wounded another, I tell you, this is the roughest country I ever met. I made one raid into Jackson county, N.C. and one also into Habersham, Ga. The military mails were busy on that September 9, for Major Perryman, who was the regimental commander, ordered Lt. Kendrick�s company to proceed with your entire command to Gowansville and select some suitable place in that neighborhood for your camp� your duties will be the same as heretofore! Lt. Kendrick�s supporting force was then encamped at Highland Grove. Writing from Pickens at that time, his fellow officer and friend W.C. Cannon, was apparently "needling" to jealousy over duty assignments. "I am enjoying myself finely, having gone to a dance night before last, I have been to several teas and dinner parties. I am taking on desperately with the young ladies, I fear I will lose my heart� I can asssure you that if Pickens cannot boast of a pretty situation, she can be proud of her young ladies." But wars are serious business and the letter hastens to deal with it: "I was very sorry indeed to hear of Morgan�s death and the fall of Atlanta, I fear if Hood does not do something very soon, we will be troubled with Yankee raids. And then it got to the real business at hand: " did you say you could furnish everything and let me have jeans, one yard for one bunch of cotton yarns. If so, I will take it. That will be old prices exactly one dollar per yard for nice jeans and one dollar per bunch for yarns. If you can buy the wool for cotton yarns, I will be willing to give one bunch yarns for three pounds of wool." Wars generate urgent problems, particularly when a man is in need of trousers. Lt. Kendrick�s cousin, Capt. George M. Holtzclaw, wrote on September 28,1864: "There are rumors afloat but nothing reliable. One report is that Kirby Smith is coming to this army with his Corps, but I doubt the truth of the report. Our army is at present in bivouac near Fairbain Station on the West Point Railroad about twenty-five miles from Atlanta. "President Davis is out here. He reviewed the troops on the twenty-sixth inst. I do not know his business but I suppose he came to learn the cause of the fall of Atlanta. I hear that General Beauregard is on his way here to take command of this army. I truly hope the report is true, for we have no faith in Hood." Then Captain Holtzclaw rallied to the defense of several members of his command: " I hear that the names of Lt. Traynham, Sergeant Smith, Cpl. Peace and W. W. Bass of my company have been reported in Greenville as Deserters, which report is false and without any foundation whatsoever. I will send a piece to the Enterprise (Greenville Newspaper) and have it published to have these reports stopped." " I hope you will do these men the favor to depress this infamous lie. Some of these men have distinguished themselves in this campaign. I shall hold the perpetrators of this unmitigated falsehood accountable for it. I am determined that such brave and patriotic men whom I have the honor to command shall not be disgraced in that kind of style." The following day, September 29.1864 J.J. McCarley wrote from Spartanburg, that my leg has not improved but very little� but I will be up to camp before many days if it don�t get worse. Many of Lt. Kendrick�s command were almost literally "walking wounded" placed on non-combat duty. Food was a problem, Capt W.H. Flynn wrote to Lt. Kendrick October 4, 1864, authorizing him to receive bacon tax in kind from any of the neighbors, enough to feed your command until further instructions. Give receipt in your own name, for each lot you get, and give one third pound per day to your men. You require 65 1-3 lbs bacon to last you till the tenth inst. If you receive any more bacon than that you must let me know when and you must make next requisition how many pounds you have on hand and the names of the men you receive it from. And feed for horses was a problem. Capt. Charles A. Davis wrote October 10, 1864, that he was unable to send forage� and therefore you will receive enough forage for a day or two and then report the amount to Mr. F.W.R Nance, who will supply you hereafter. Course weighs 56 lbs. per bushel and each horse gets 10 lbs. Lt. Kendrick was ordered October 12, 1864, to have his men ready for a medical examination on October 17, apparently to determine if they were combat able. The order was signed by Capt. A.T. Brayles. By October 24, Major Perryman had been promoted to Colonel and ordered Lt. Kendrick to take a detachment to Dr. Columbus Mills place in Polk County, N.C., to arrest a certain deserter. Lt. Kendrick had some help on that raid into North Carolina and on December 1, 1864, wrote to Col. Perryman. If it meets your approbation I would like very much that you would allow James Moss to remain with me. He is the only man in this neighborhood who will go with us to show us anything. He was the only man who would go with me to Dr. Mills. As too the stealing he was accused of I think it was a mistake. James Moss was apparently forgiven. On December 8,1864, Col. Perryman wrote. Lt Kendrick will retain Moss until further orders from these Head Qrs. Col. Perryman wrote on February 11, 1865, granting leave of ten days to Thomas J. Walker, Private. From Pickensville on March 4,1865, J.A. Cobb wrote that he had completed making boots for Lt. Kendricks brother-in-law, Dr. B.F. Few. I think I wrote you in a previous note the Dr.�s boots would only cost $50.00, but I had to furnish more leather than we expected at that time, which made them $60,00, but if you are not satisfied, we will not differ about $10.00. I will make your mother�s shoes as soon as possible, I think in a couple of weeks. I also intend making the wife�s shoes and will let her have them much cheaper, than she can get them anywhere. I regret very much that I will not be able to furnish the boys their shoes and boots at present, nor for several weeks, as I have 100 pair to fit up under the present order for Col. Perryman. Let me know if you should need any jobs and give me private notice, I will try to accommodate you. My health is much improved till the last ten days, I have been growing worse. I hope to hear of you and all the boys being well and doing well. Oh this terrible war�. Tell old man Geer to write to me. Boots were a problem, On April 4, 1865, Mr. Cobb was writing again: "Your mother�s shoes are done, cost $25.00. In regard to furnishing shoes for your company, will do all in my will power for them�. I hope you will make some allowance for me, as I can only put up the shoes as I get the stock. Mr. Ferguson, the tanner, who bleached and finished up your skin, said he will not charge you anything but a bottle of good old whiskey the first chance you get to send it. Please send my pistol molds. But by then it was beginning to matter less and less. Already on March 15, 1865, Col. Perryman wrote that we cannot furnish the men at present. He did grant a promised 10 days to Lt. Gosnell but he wrote that I could not send you the arms as my ordering sergeant is absent. Then he added that Lt. Kendrick should keep up your operations in pursuit of deserters and absentees. Many of the 16th Regiment are still at home and you must send them forward. By April 21, 1865, even that would no longer matter. At 7 A.M. on that day, the last letter in the Kendrick file was posted from Newberry by Lt. Col. David Urquhart, on inspection duty by order of the Secretary of War. The letter was addressed to Col. Perryman as commander of the Greenville post, to John H. Erwin, the acting commanders and to Lt. Kendrick, commanding Company A: I arrived here this morning, left Columbia last night, General Beauregard telegraphs from Greensborough to General M. Lowell, Commanding General South Carolina, To communicate with the Federal General Gilmore at Charleston and notify him that a cessation of hostilities has taken place between General Sherman and General Johnson for the purpose of settling our troubles. No hostilities to be resumed unless 48 hrs notice is given by either party. General Lowell has sent a flag of truce to General Gilmore and I am authorized to communicate with General Stoneman. You are authorized to communicate with him if he moves in your section and state to him that a truce now prevails, I will be up tomorrow or the next day. Please communicate the contents of the letter to General Martin at Asheville. Lt. Kendrick, late of D Company, the Sixteenth South Carolina Regiment, Gist Brigade, came home after Atlanta. He was in charge of the effort to capture "Outliars", Deserters, and those without leave, in the Upper Section of Greenville County. His letters reflects those dark last days of the bright hope of independence. Still, when considering the Dark Corner, it is best to remember that for most of those who lived there, Union laws or Confederate laws, they were still laws.... and men come to places like the Dark Corner only for the sake of freedom... The ablility to do what one pleases without contol of any type. In spite of the feeling of the writer in the The Greenville News, by this time "Outliars" had become more than a passing problem. On at least one occasion, a cannon was requested to handle one of the revolutionary vintage blockhouses the "Outliars" had taken over. Reqular pickett lines were established in the hope of restricting movement, but we know these efforts did little good. Escaped Union officers and men who could make it to the mountains would always find a helping hand on the journey to East Tennessee. Captain Bowden's Company is with the Palmetto Light Artillery Battalion in Charleston. This company and Captain Holtzclaw's had been ruled as illegally formed and the men sent to other units. A great many went to the Army of Tennessee.... to the Sixteenth South Carolina. This was not a trade up and many deserted. A quick glance at the service of the Sixteenth around Atlanta and in the Campaign of 1864 in Tennessee will show why. It was no place to lead a long life. General Chesnut was very important to South Carolina during the war, today, he is best known for the diary of his wife, Mary Boykin Chestnut. Lt. Kendrick's men would be well known to Kendrick, many of them were men of the Sixteenth, recovering from the wounds of Atlanta and then Hood's Tennessee Campaign. 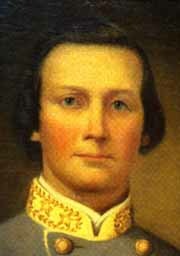 Only the very lucky would have escaped Franklin and Nashville and found the way to Lt. Kendrick. A note on Kendrick, it was believed by the author that he resigned his commission and returned to the ranks. Obviously, he returned to state service. I suspect rather strongly that the man listed in D company as Killed by Bushwackers in S.C. was a Kendrick note. The Holtzclaw letter appears earlier in this section. The officers and men he names are from Company F, of the Sixteenth South Carolina. Morgan is General John Hunt Morgan who was killed in Greenville, Tennessee by one of his own men; who had galvanized to the Union cause. Following the defeat at Nashville the Army of Tennessee had retreated south into Mississippi and was in Spring of 1865 attempting to move toward its old commander General Johnson in North Carolina. Many men of the Sixteenth strayed toward home and it became the job of Lt. Kendrick to round them up and head them on toward Bentonville and Greensboro.